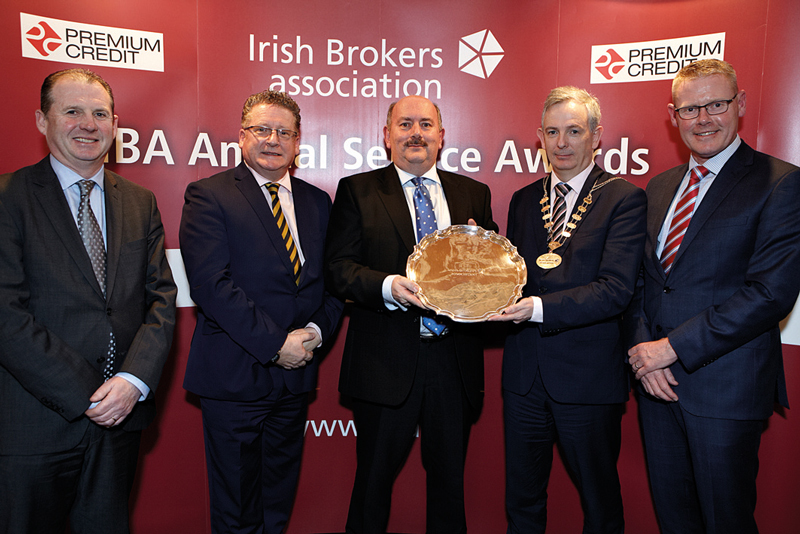 The Irish Brokers Association Insurance Service Awards presentation was held at a celebratory lunch in the Westin Hotel on Friday the 17th of February. The Awards were once again sponsored by Premium Credit and 125 guests representing the CEO’s and Top Management from the Life and General Insurance sectors attended to hear the announcement of the winners of the 27th Awards. 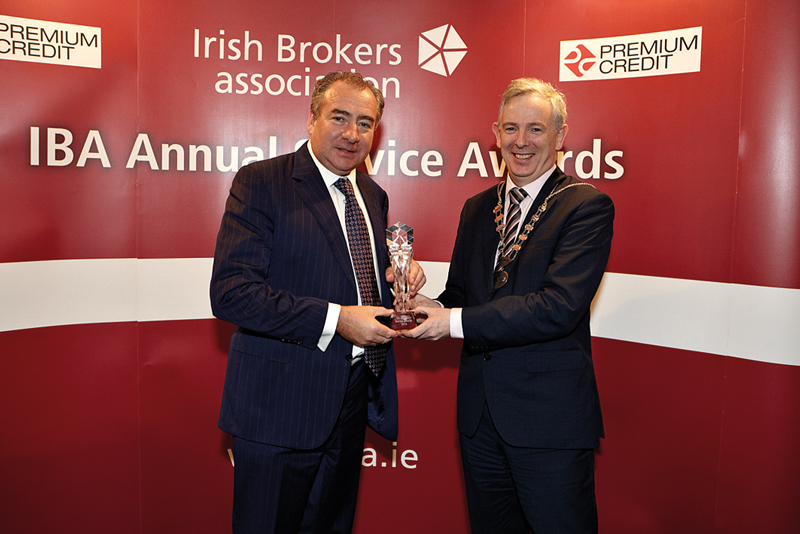 The Irish Brokers Association wishes to thank Ger Shannon CEO of Premium Credit for their continuing generous sponsorship of the event. 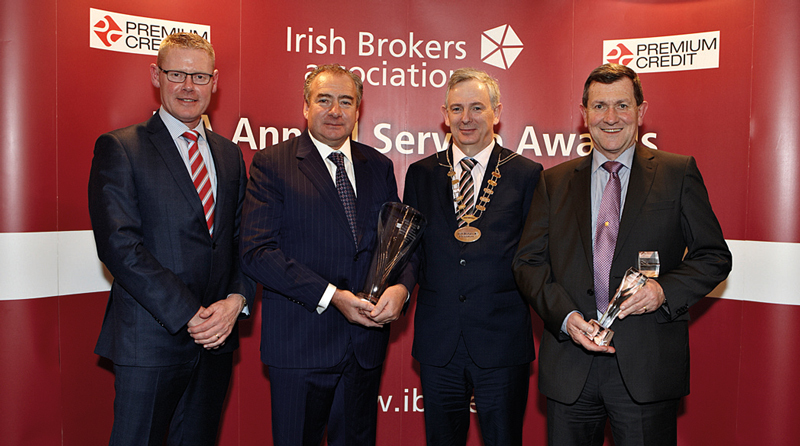 The Awards lunch was hosted by The President Aidan McLoughlin and the Council of the Irish Brokers Association. The attendance was comprised of the Association’s key Executives and Council Members and the CEOs and Top Executive Management Teams from each of the important insurance players in the market. 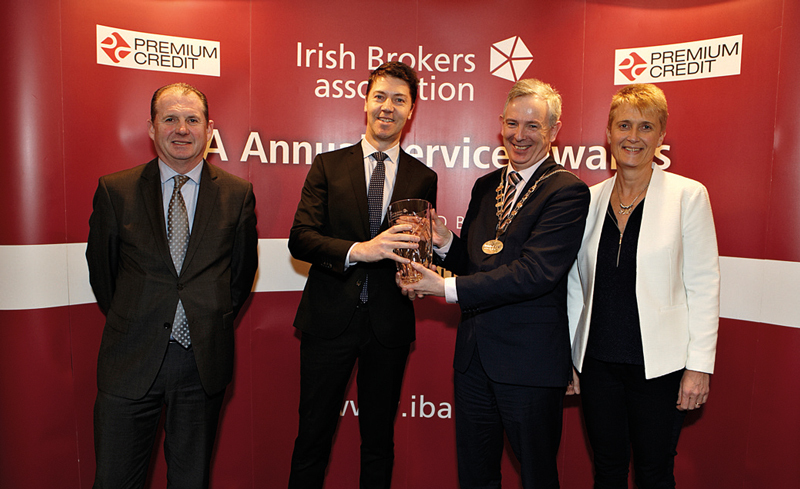 In his opening remarks to the guests Ciaran Phelan, Chief Executive Officer of IBA, emphasised the need for excellent service from Insurers and warmly welcomed the guests to the celebration of the 27th Anniversary of the Awards. Ciaran outlined the running order for the presentations and explained some changes to the Awards criteria this year. 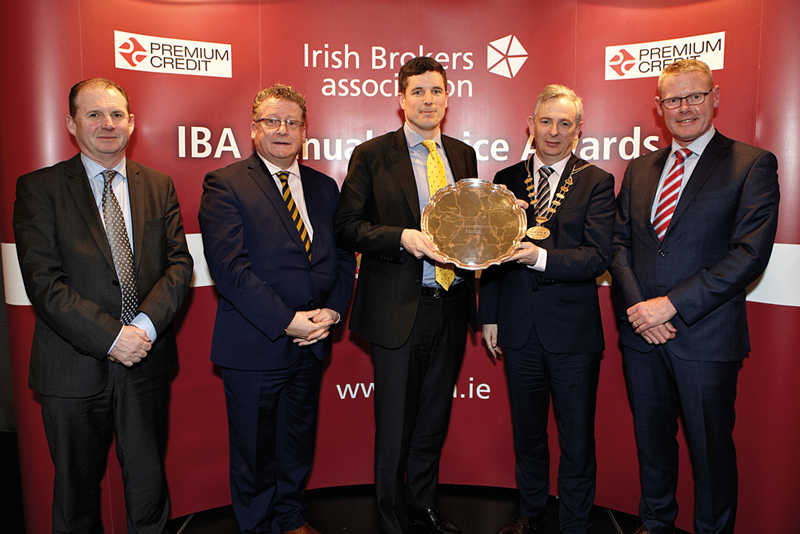 Following a review by IBA, the Top General Insurance Awards would be awarded to reflect the importance of the size of the large Commercial Corporate sector. Consequently, the two major general insurance Awards this year will be for: The Best Overall Personal Lines and SME Commercial Lines Service and the second Award would be for the Best Overall Large Corporate Commercial Lines Service. 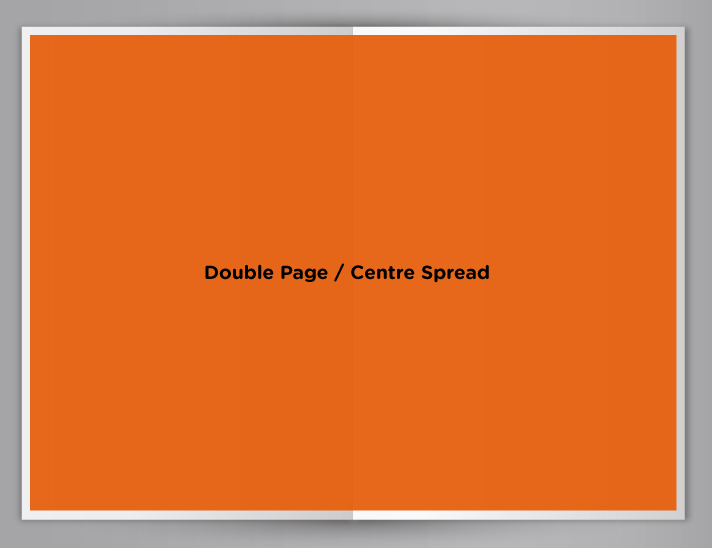 (Large Corporates being Brokers with more than 30 staff). 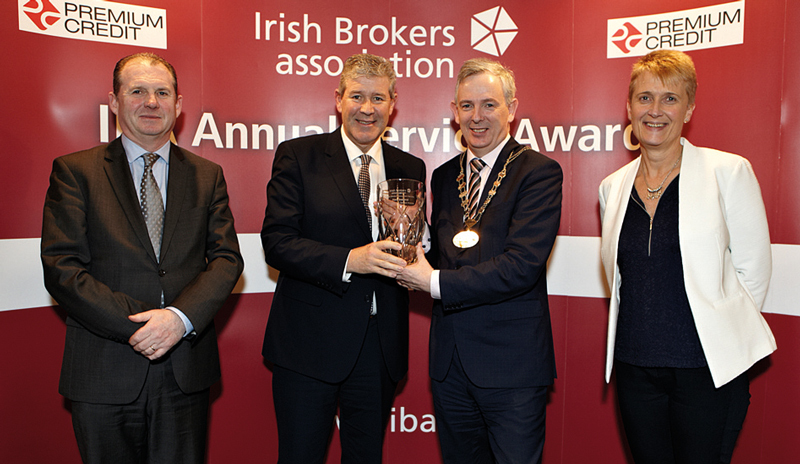 In addition, it was felt that an Award for Best Broker Consultant Service should be introduced into the life Awards on a similar basis to the General Insurance sector. Having explained these changes, Ciaran then called on Michael Fitzgerald of Premium Credit to say a few words on behalf of the sponsors, Premium Credit. 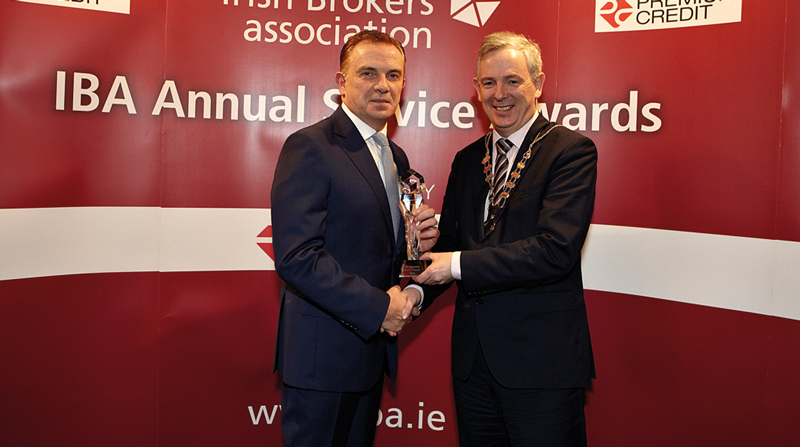 Michael welcomed all present and re-confirmed on behalf of Ger Shannon, CEO and Premium Credit’s strong support for sponsoring Awards that encouraged service excellence which was in keeping with Premium Credit’s own commitment to service excellence. 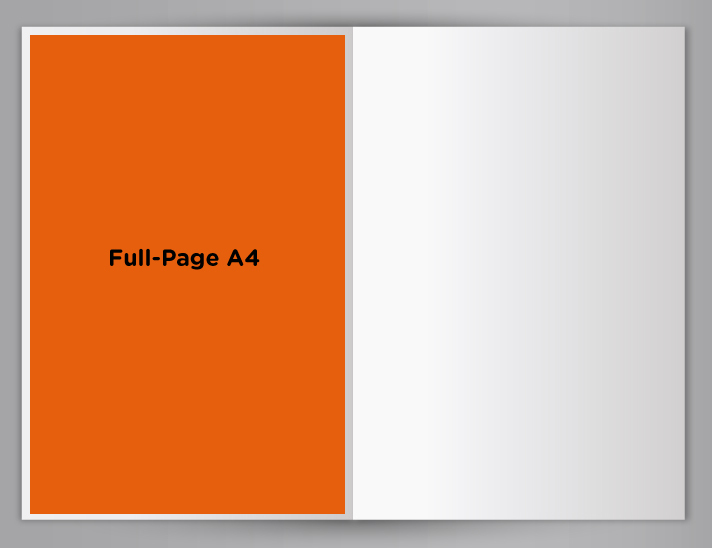 He concluded his speech by wishing all those present good fortune with the results. Ciaran then called on the President of the Association, Aidan McLoughlin to address those present. 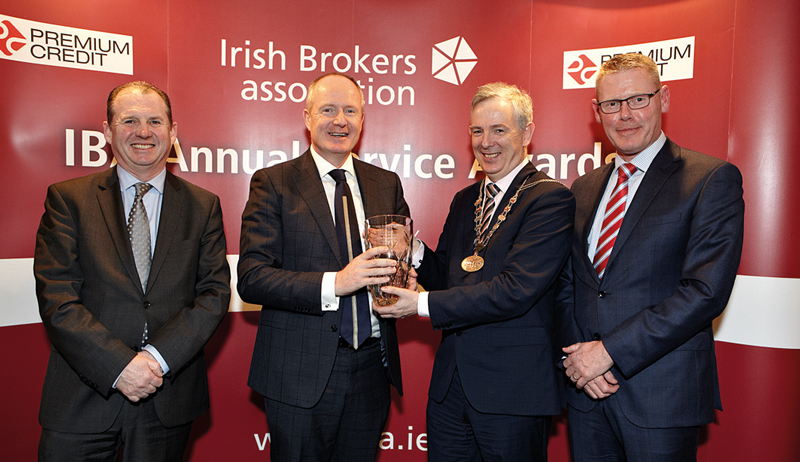 In his address to the guests Aidan McLoughlin, President, emphasised the need for improved service and the importance of companies and Brokers working together in the best interest of their mutual clients. The President extended an invitation on behalf of the Association to work with Insurers towards finding solutions to mutual service problems in the industry. He finished by wishing everyone the best of luck in the Awards presentation to follow. 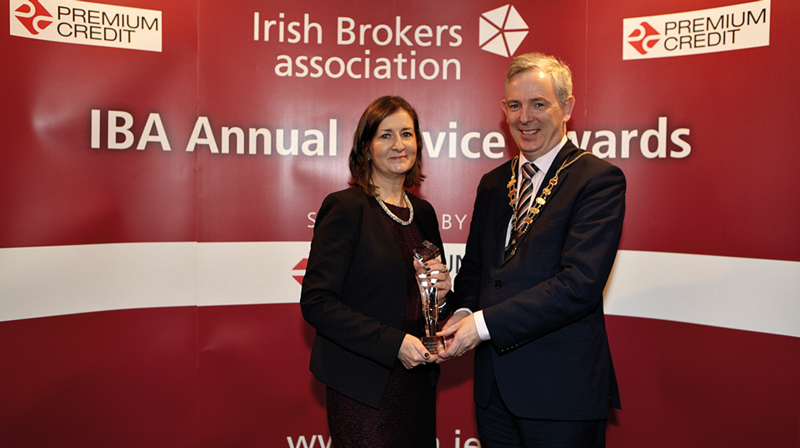 The winning of the Awards continues to be a major business and service objective for insurers operating in the Irish market. 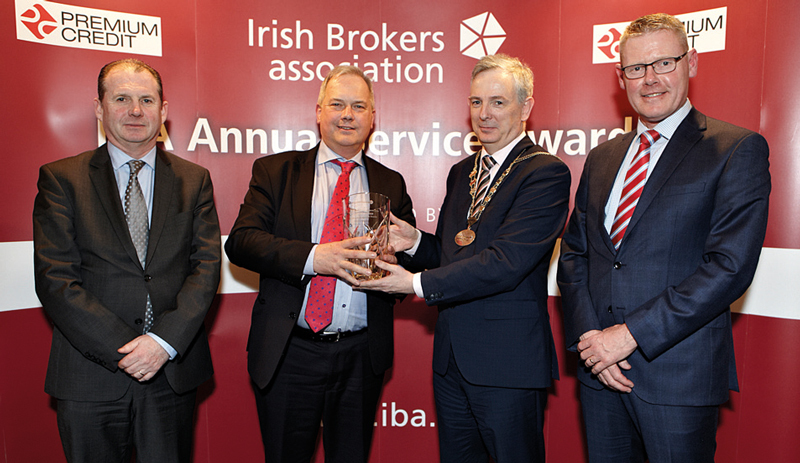 This is the 27th Anniversary year of the Insurance Service Awards Survey and the results reflect the standard of service received by IBA Members from insurers for the 2016 calendar year. With in excess of 360+ on-line Life, General and Specialist sector surveys completed by IBA members the response this year has been excellent. We take this opportunity to thank, once again, all the Association’s members who took the time to express their views on service standards in the market. With IBA brokers representing in excess of 70% of total premium income in the insurance market they are well placed to comment on the level of service received from insurers. 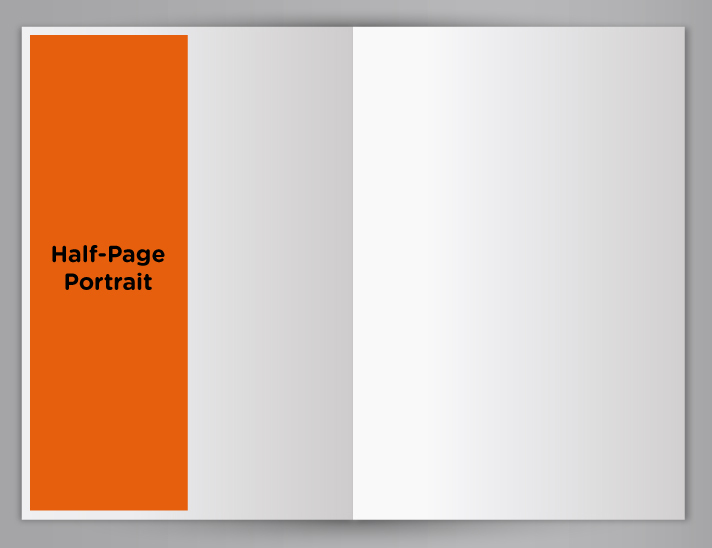 The Association’s Members represent the interests of their clients – the end consumer. In commenting on the level of service delivered by companies to the market, Brokers are encouraging both the life and general insurance sectors to respond effectively to the needs of clients in terms of better service and value for money products. Following the lunch Ciaran Phelan commenced the announcement of the winners with the assistance of the Association’s Deputy Presidents, Cathal Lowe and Linda Gallagher. AXA Insurance produced an excellent performance in achieving the top service Award for Personal Lines and SME Commercial Lines. 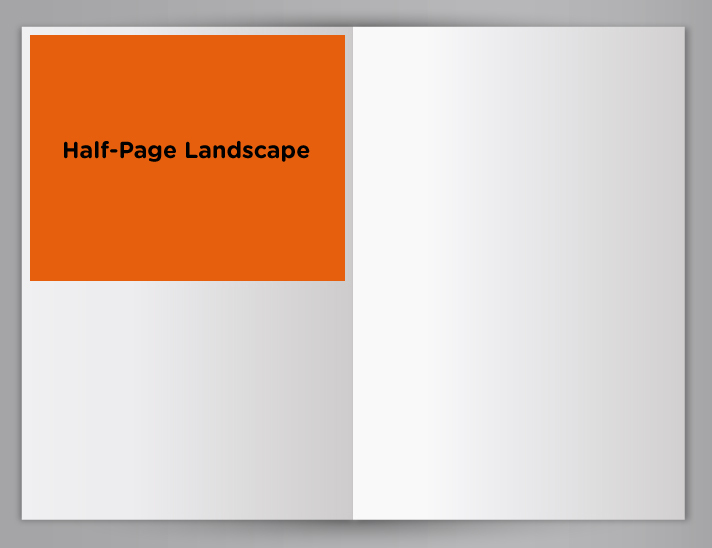 Our congratulations go to Phil Bradley CEO and his team on an excellent achievement in winning this prestigious Award. 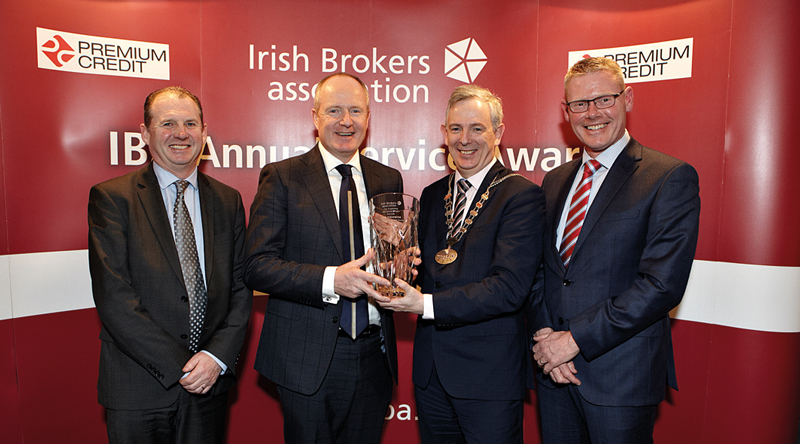 The second major Award in the General Sector is for Best Large Corporate Commercial Lines Service and this Award went to Aviva Insurance and our congratulations go to John Quinlan, CEO and his team at Aviva for winning this major Award this year. No doubt, Zurich Insurance, AIG, Allianz, Liberty Insurance, RSA and Travelers will aim to produce stronger performances in 2017 to challenge AXA and Aviva for these top Awards. 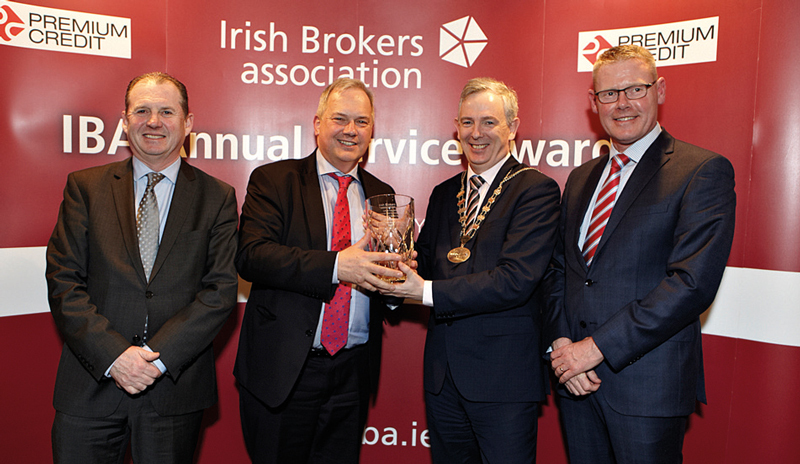 The winner of the CEO & Top Supporting Management team in 2016 for the Large General Insurer Sector was AXA Insurance and we extend our congratulations again to Phil Bradley CEO and his team for winning this highly sought after Award again this year. 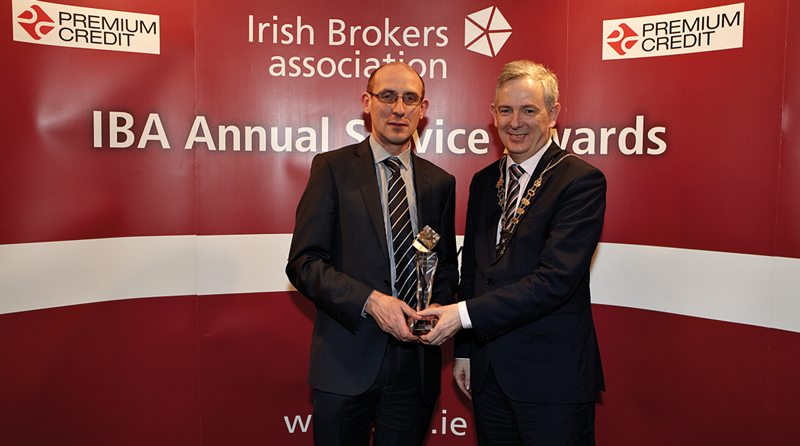 The winner of the Most Improved Ranking Award in this sector went to Aviva Insurance. Congratulations again to John Quinlan CEO and the team at Aviva. The CPD Award for delivering the Best Continuous Professional Development Programme in 2016 was won by Zurich Insurance. 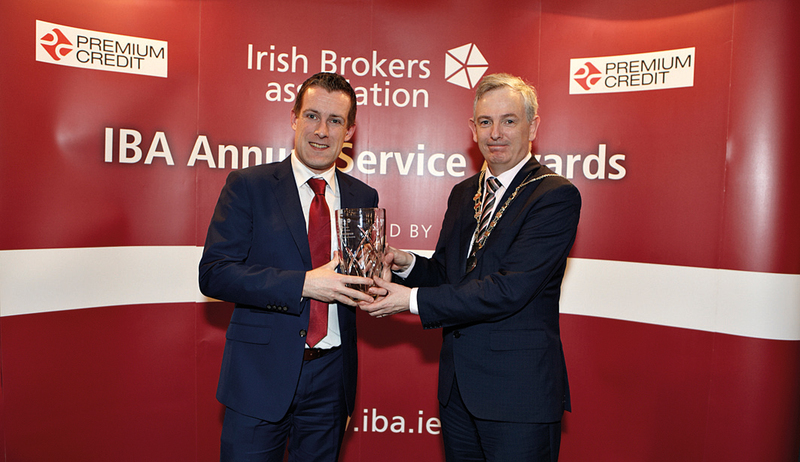 We congratulate Anthony Brennan Group CEO and his team for delivering an excellent Broker CPD Training Programme to IBA members in 2016. The Best Personal Lines Claims Support and the Best BDM Awards in 2016 went to AXA Insurance. The Best Sales and Marketing Support for Personal and Commercial Lines in 2016 also went to AXA Insurance. 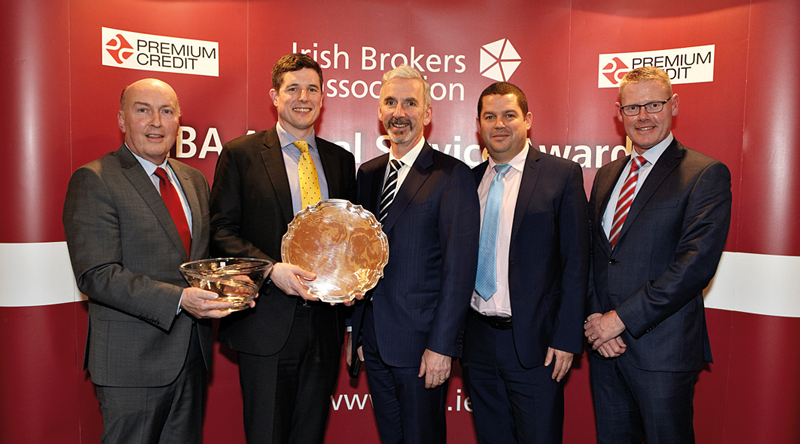 Our congratulations to Phil Bradley, CEO and his team on winning the above Awards. 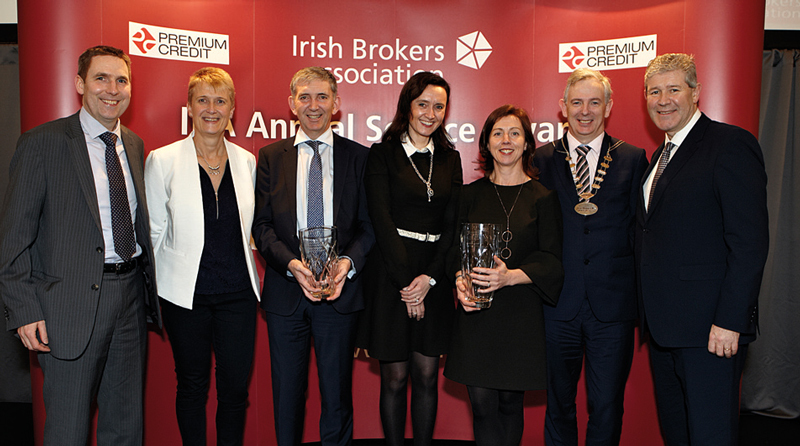 The Specialist Insurer Sector Overall Winner was, for the fifth year in a row, DAS and our congratulations go to Adrienne O’Sullivan CEO and her team on their success in winning this Award once again. 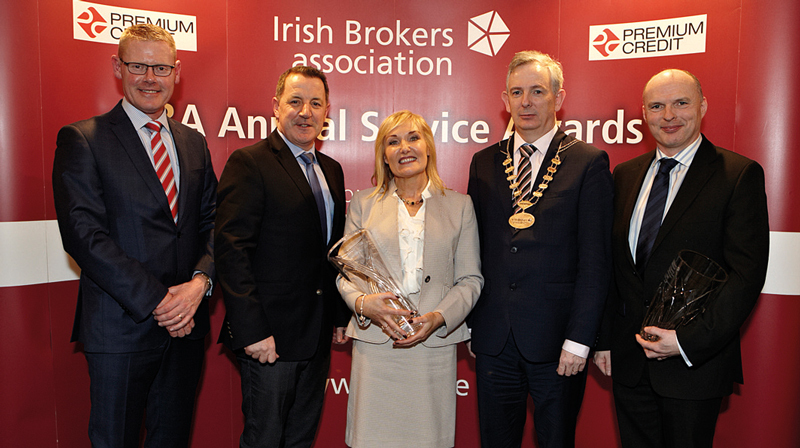 The winner in the Specialist Sector for the CEO & Top Supporting Management team was DAS and we again offer our congratulations to Adrienne O’Sullivan CEO and her team on their repeated success here in 2016. 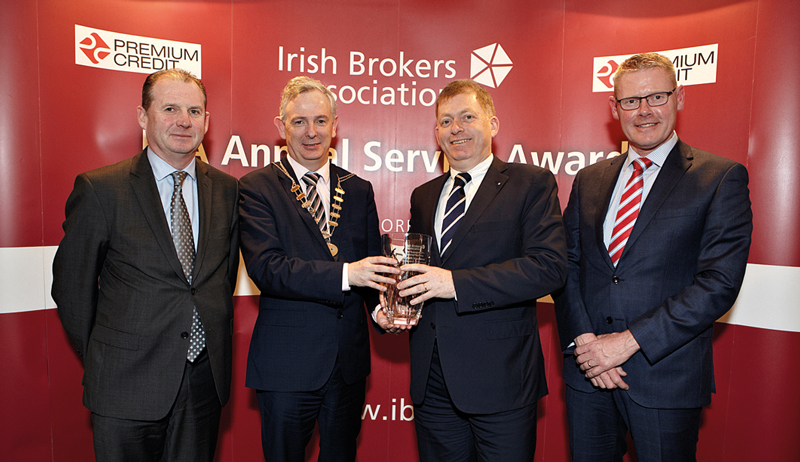 The Most Improved Ranking Award for the Specialist Insurer Sector was won by CHUBB Insurance. 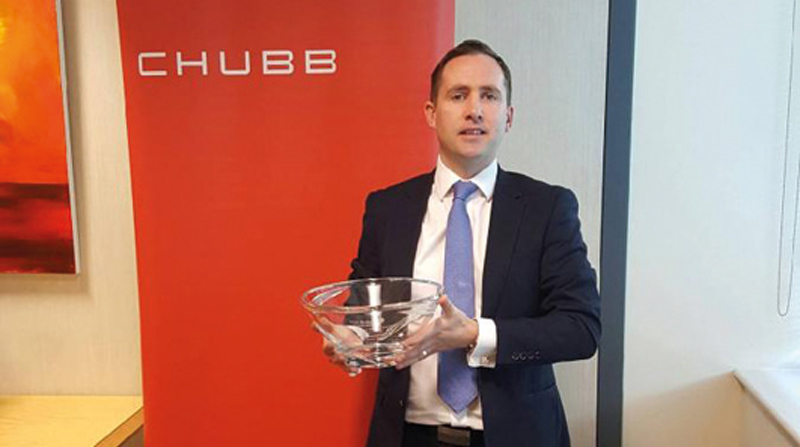 In addition, the Best Claims Service in the Specialist sector for 2016 was also won by CHUBB and our congratulations go to Jim Duncan, General Manager and his team on winning these two Awards this year. 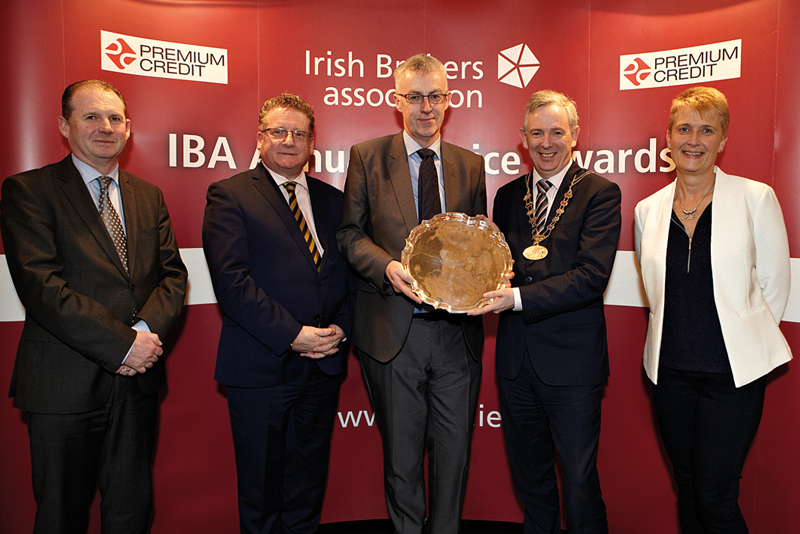 Ciaran Phelan, CEO, IBA, Mike Fitzgerald, Premium Credit, sponsor, Phil Bradley, CEO, AXA, Aidan McLoughlin, President, and Cathal Lowe, Deputy President, IBA. Ciaran Phelan, Mike Fitzgerald, sponsor, Robert Kennedy, Head of Sales & Trading, General Insurance, Aviva, Aidan McLoughlin and Cathal Lowe. 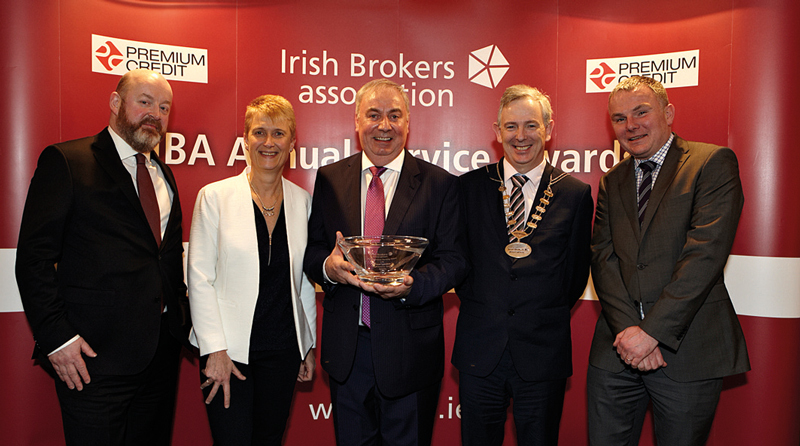 Ciaran Phelan, Mike Fitzgerald, sponsor, Denis McLoughlin, MD, Irish Life Financial Services, Aidan McLoughlin and Linda Gallagher, Deputy President, IBA. 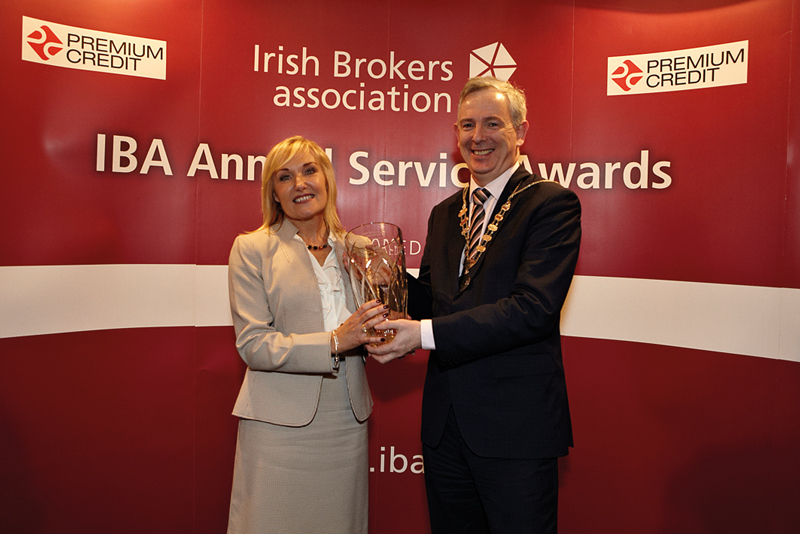 Adrienne O’Sullivan, CEO, DAS and Aidan McLoughlin. Tony Wright, CEO, Patrona Underwriting and Aidan McLoughlin. 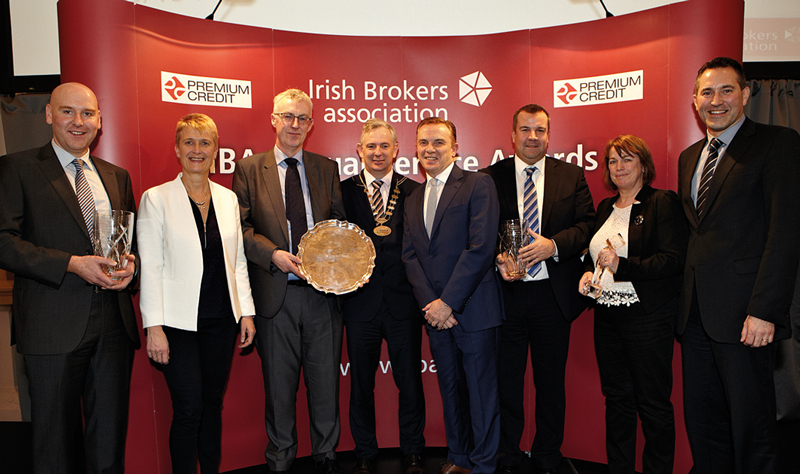 Ciaran Phelan, Neil McGuinness, Intermediary Channel Manager, Davy Select, Aidan McLoughlin and Linda Gallagher. The Product Producers’ Sector recognises the service performance of companies providing niche insurance products to the Broker market. 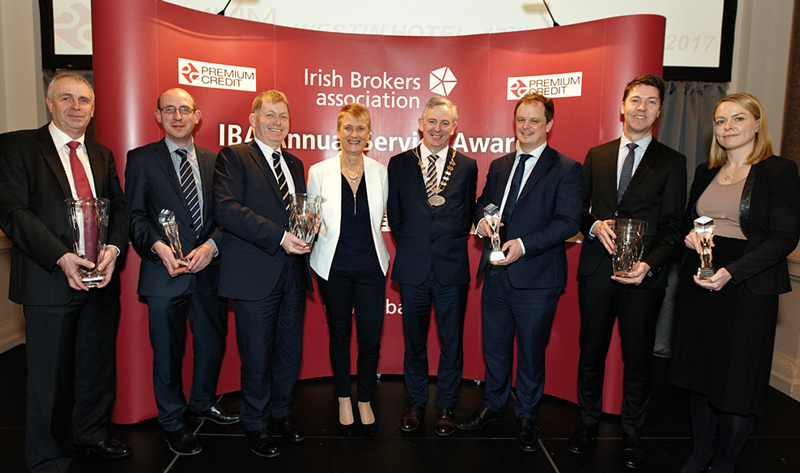 This year this Sector was won by Patrona Underwriting and our congratulations go to Tony Wright CEO and Ciaran Culleton, Director of Broker Relations and their team in Patrona Underwriting on their service delivery to IBA Brokers in 2016. Irish Life plc, as we have said, won the Overall Best Life Company Award for 2016. Our congratulations go to Denis McLoughlin MD, Irish Life and all the Irish Life team on their excellent achievement in winning the Award again this year. This is now the 9th time Irish Life has won the Award. An excellent performance against very tough competition. A number of other Life insurers also performed well in the survey namely New Ireland, Royal Londan, Zurich Life and Aviva. The Life Specialist Sector recognises the service performance of companies providing niche life investment insurance products to the Broker market. 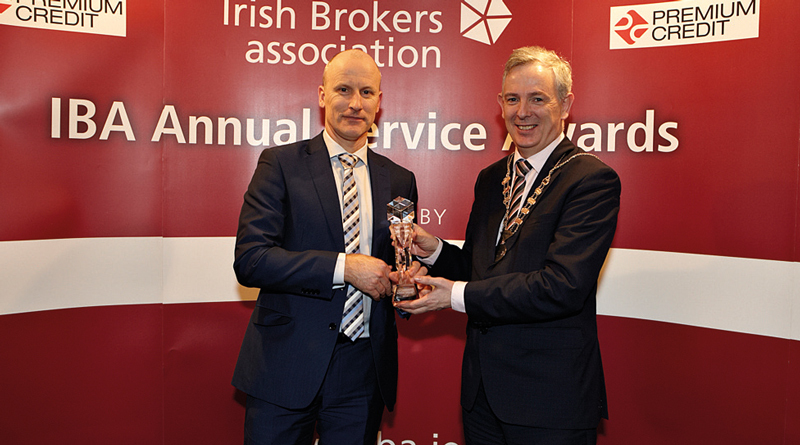 This Sector was won again this year by Davy Select and our congratulations go to Ciaran O’Donoghue and Pat Ryan and the team in Davy Select on their excellent service delivery to IBA Brokers in 2016. The winners in the Life Sector for the best CEO & Top Supporting Management team went to New Ireland and we offer our congratulations to Mick Sweeney Managing Director (interim) and Denis Kelleher, Director and their team for winning this prestigious Award on behalf of New Ireland for 2016. John Killeen accepts the Award. Dan Carroll, Paul Conheady, Deirdre Kelly, Edel Oates and Denis Kelleher. Brendan Little, Adrienne O’Sullivan and Mike English. Sean Boyle, Robert Kennedy, Colin Ryan and Brian Mahon. Joe Charles, Greg Dyer and Daragh Feely. 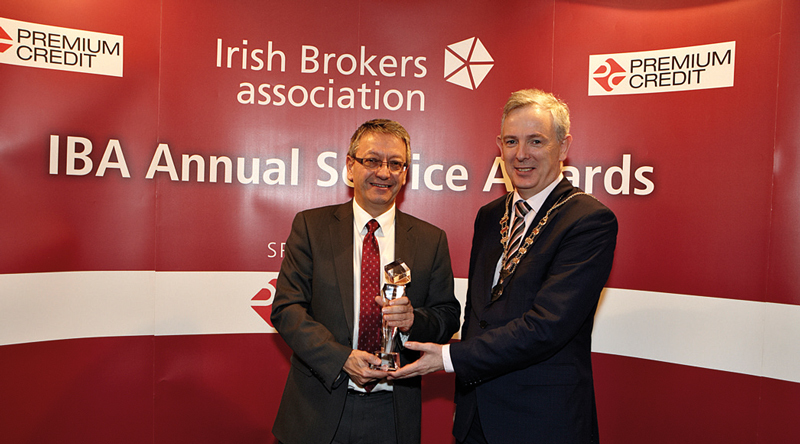 Most Improved Ranking Award Specialist Insurer Sector: Chubb Insurance. John Cotter with the Award. Anthony Brennan accepts the Award. Paul Nolan accepts the Award. Paul Dwyer accepts the Award..
Paul Dwyer accepts the Award. Robert Hagin-Meade accepts the Award. The winner of the Most Improved Ranking Award in the Life sector was won by Royal London and our congratulations go to Alex Koslowski, Managing Director and his team at Royal London. 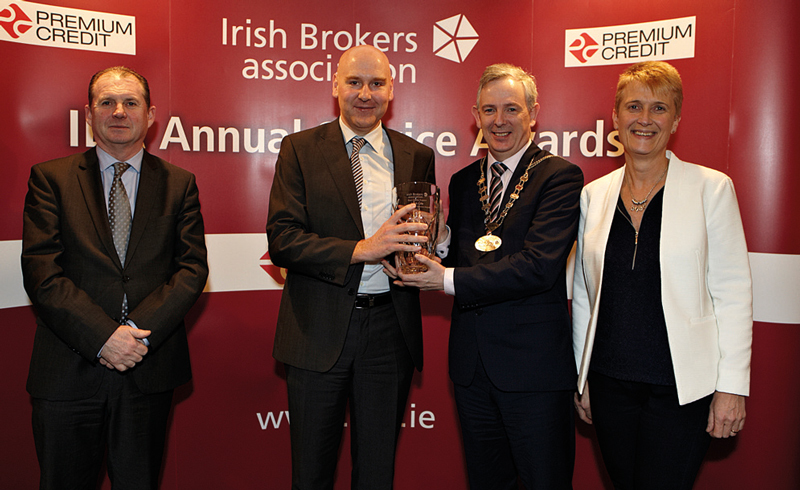 The Best Investment Performance Award for 2016 was won by Zurich Life and congratulations to Anthony Brennan CEO and his team on winning a very important Award from the broker’s perspective. 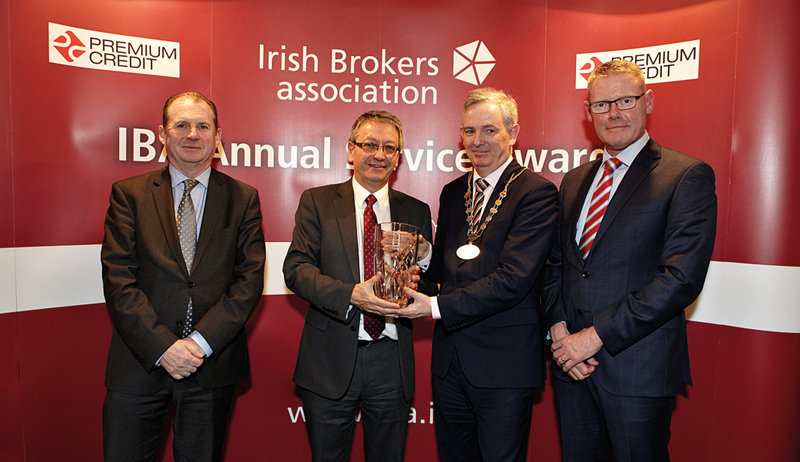 The Best Claims Support Award was won by Irish Life and our congratulations go to Denis McLoughlin, MD, Irish Life and his team on winning this Award again this year. 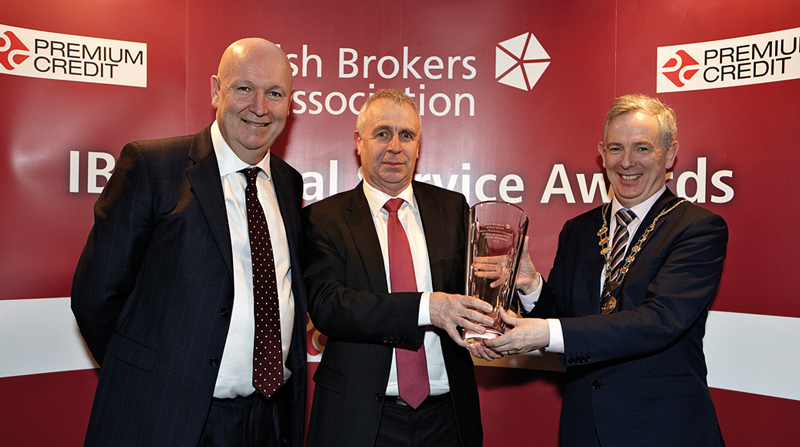 The Best Broker Consultant Service Award for 2016 went to New Ireland. 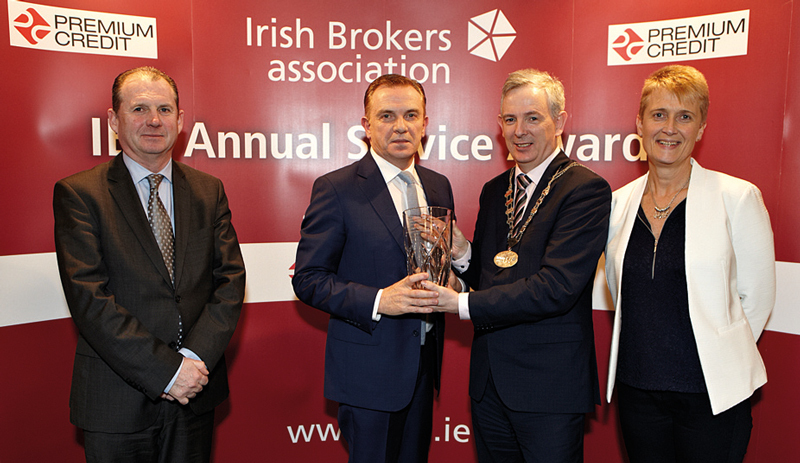 The Best Marketing and Sales Support Performance Award for 2016 was won by Irish Life. David Warren accepts the Award. Greg Ward accepts the Award. Dermot Gaskin accepts the Award. Denis Kelleher accepts the Award. 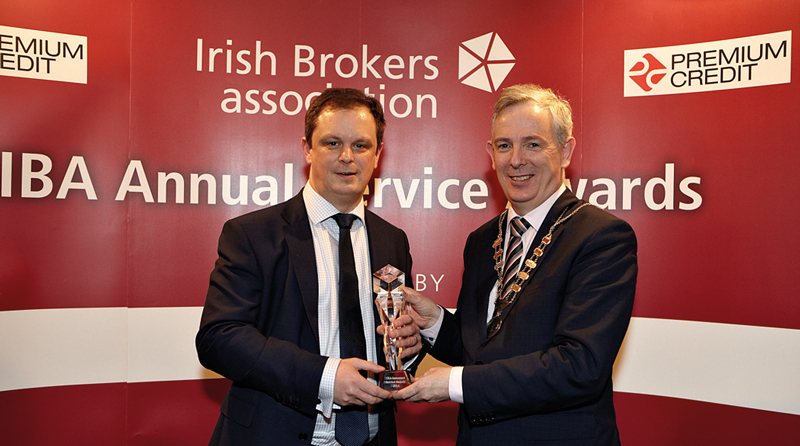 Dermot Murray, CEO The Insurance Institute and Lorcan Harding. 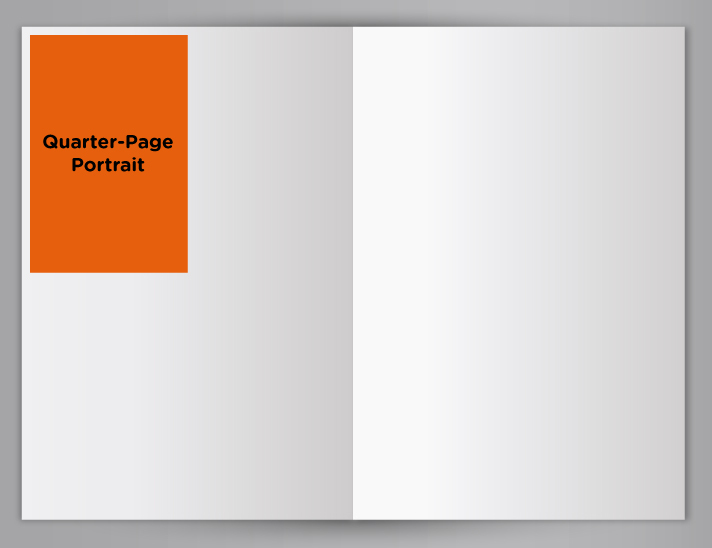 Greg Ward, Denis McLoughlin, Dermot Gaskin, Michael Nolan, Mary Cregan and John Roberts. Zurich Group with their Awards. Lorcan Harding, Johnathan Daly, Anthony Brennan, David O’Dowd, David Warren and Kate Tobin. 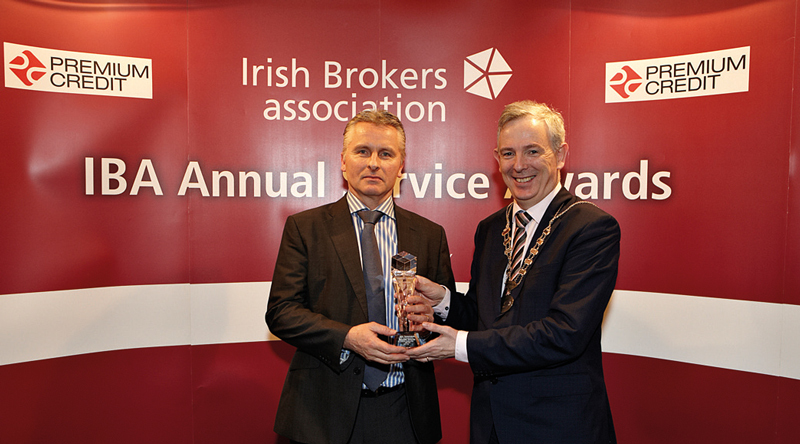 David O’Dowd accepts the Award. Karen Gallagher accepts the Award. Jonathan Daly accepts the Award. Liam Duggan accepts the Award. Tony Wright and Ciaran Culleton accepting their Awards. Paul Winters accepts the Award.